One of the most common struggles I hear from parents and teachers is that kids still don’t know their multiplication facts. Maybe you know this struggle all too well, especially if you teach 4th or 5th grade. At that point, you don’t have time to teach multiplication, because you’re required to teach division and fractions and decimals. 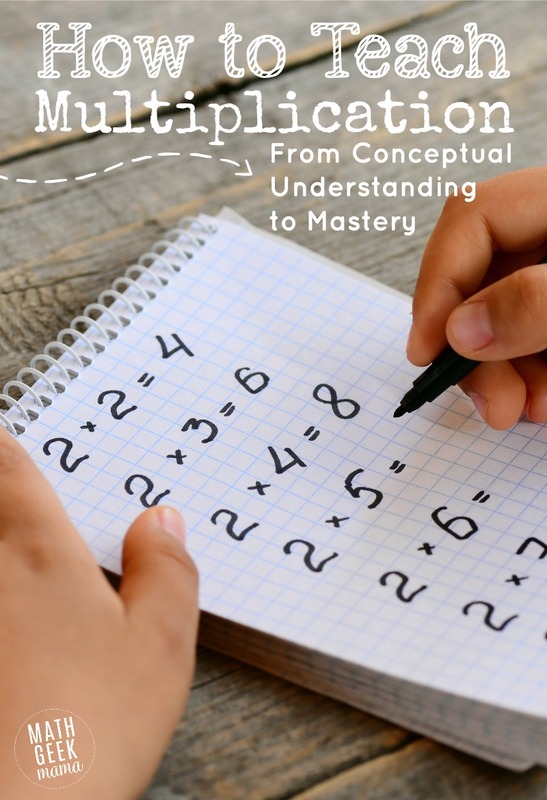 Today I want to share some tips for building a solid foundation as well as a simple plan for how to teach multiplication facts with mastery, without flash cards or tricks! Learning all those facts may seem overwhelming and daunting, but it doesn’t have to be! Here are some simple tips to help you feel confident and more than that, give your kids confidence. First of all, please do not begin a study of multiplication by jumping into memorization. Yes, you can get your kids to that point, where they are confident and fluent with their facts, but you need to dig a little deeper first. Begin by giving them a conceptual understanding. What does that mean? It means they can visualize and understand what 4×5 means and represents, not just that the solution is 20. I begin by helping make the connection between repeated addition and multiplication. Then I move on to equal groups. In other words, 4 + 4 + 4 + 4 + 4 is equal to 5 x 4 = 5 groups of 4. Practice with equal groups using the book, 2×2=Boo! An array is simply a visual model of this fact, as 20 objects are arranged into equal rows and columns. Find fun ways to practice with arrays here. These early introductions should be happening as early as first grade and really explored in depth in 2nd grade. Then ideally, when kids enter third grade, they already understand what they question is asking when it involves multiplication. 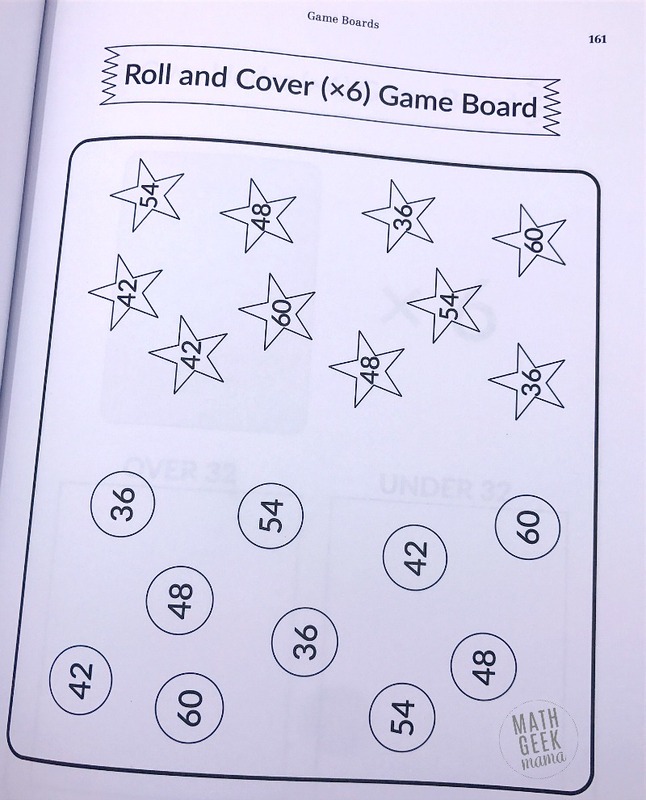 My Introduction to Multiplication Collection is designed to build a conceptual understanding and foundation so that kids can then begin working towards memorization. Learn more about Intro to Multiplication! You can also use LEGO bricks to model multiplication and deepen understanding. Learn how to teach multiplication & division with LEGO here. Once your kids have a solid understanding (and hopefully already see the relationship to division), you can begin working on learning all the facts. While it may be tempting to plow through all the facts from 1 to 10 one at a time, drilling with flash cards, that’s going to make the process more difficult. Why? Well, because certain facts are related to each other and can build on one another in a logical way that will help your kids not just memorize, but understand. And when kids actually understand what they’re doing, fluency and retention will be greater. Finally, as you’re introducing multiplication facts, don’t simply recite a group of facts over and over. Teach strategies based on other facts kids already know. 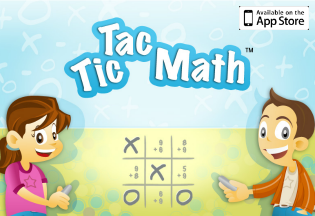 This will not only help them to learn and retain them, but will deepen their understanding of numbers and operations. For example, a tricky fact to remember is 6×8. But if kids understand that multiplication represents equal groups, they will know this means 6 groups of 8. Using this knowledge, they can start with an easier problem, 5×8, and then add another 8 to it. In other words, if I know that 5 groups of 8 is 40, then 6 groups of 8 is one more 8, or 48. There are lots of other meaningful strategies that will develop kids’ number sense rather than teach them silly tricks or rote memorization without meaning. So after you start with concrete, conceptual exploration and your kids are ready to really master those facts, what comes next? This is where the new book from Kate Snow comes in. 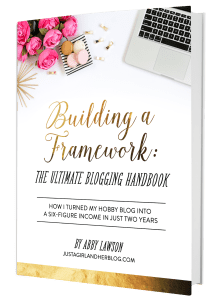 Sure, you could take these tips and come up with your own plan for teaching all the facts, and researching different strategies, but Kate has already done all the work for you! Kate is the author of Multiplication Facts That Stick, a simple system for taking kids through the facts one list at a time to build confidence and truly master them. In this 10 week plan, every lesson is mapped out so you know which facts to teach when and how to teach them. And although she starts with the 1’s and 2’s, the facts are not learned in order. She takes kids through all the facts in a logical order, teaching and learning them with lots of visuals and meaningful strategies so that kids finish with confidence. For you as the parent or teacher, each lesson and all the materials you need (other than dice and playing cards) is completely planned out for you. Each week of the plan focuses on specific facts, with teacher scripted lessons, and simple, easy to play games to reinforce what they’re learning. I plan to use this with my daughter this year as she starts 4th grade. Although she’s spent lots of time learning and exploring multiplication, I want to be sure she is fluent and confident. Who is Multiplication Facts That Stick For? So this is perfect for kids in 3rd or 4th grade who are already familiar with the concept, but are ready to really retain them and know them automatically. 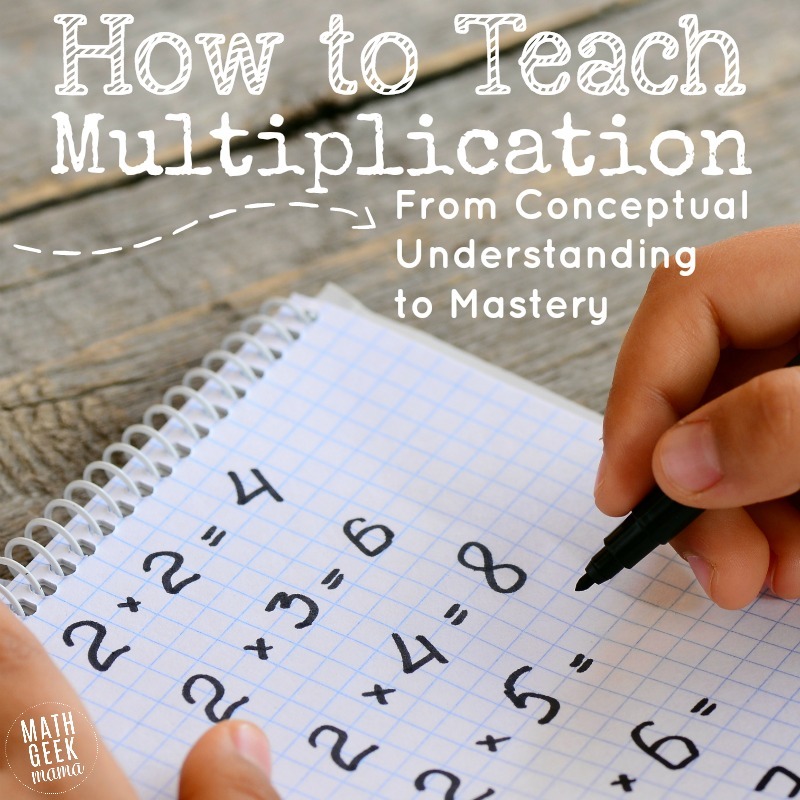 By going through this system, with daily recitation, visual models, simple games and lots of review, your kids are sure to master the multiplication facts once and for all. 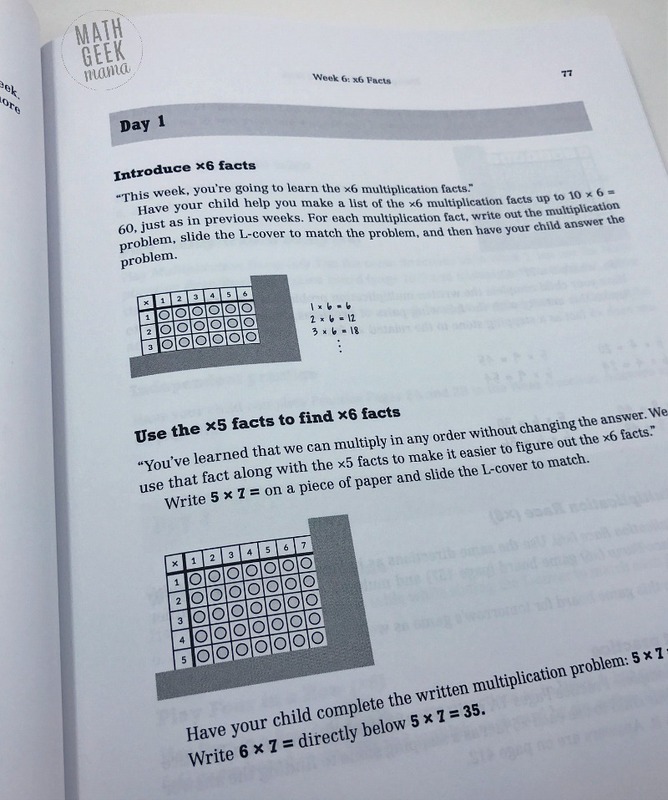 Grab a copy of Multiplication Facts That Stick here! You may also be thinking, but what about division? It’s so much harder than multiplication! How do I help my kids tackle that!? Well, first of all, multiplication and division are inverse operations. This means they are intricately related to each other, and so if your kids fully master their multiplication facts, they will be able to master division as well. It’s not really so much harder, like so many believe. (At least not when you’re talking about single digit facts within 100). But to help you teach division in a logical way (and reinforce those multiplication facts as well), you can include Division Facts That Stick into your lesson plans. This is similar to the multiplication system, as each week is planned for you and teaches kids with visuals, games and practice. Learn more about Division Facts That Stick here. 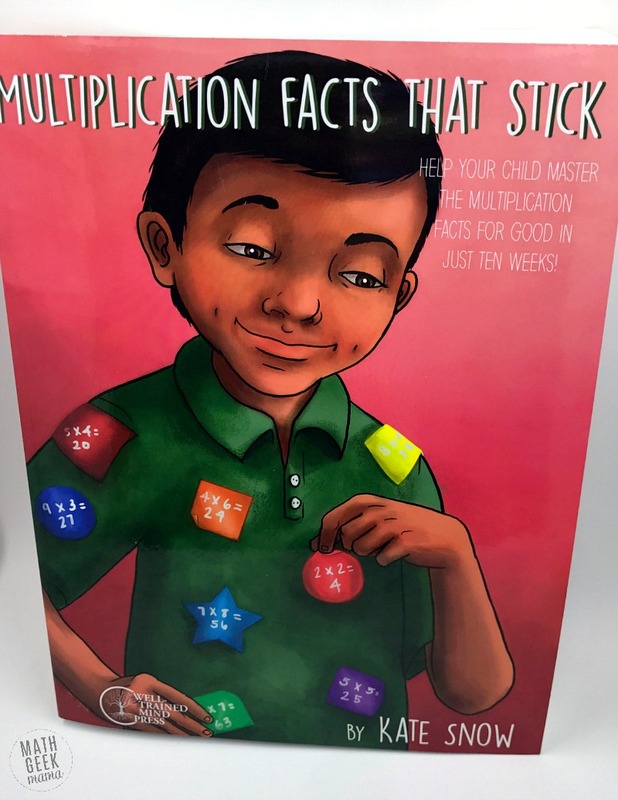 Multiplication & Division Facts That Stick Giveaway! 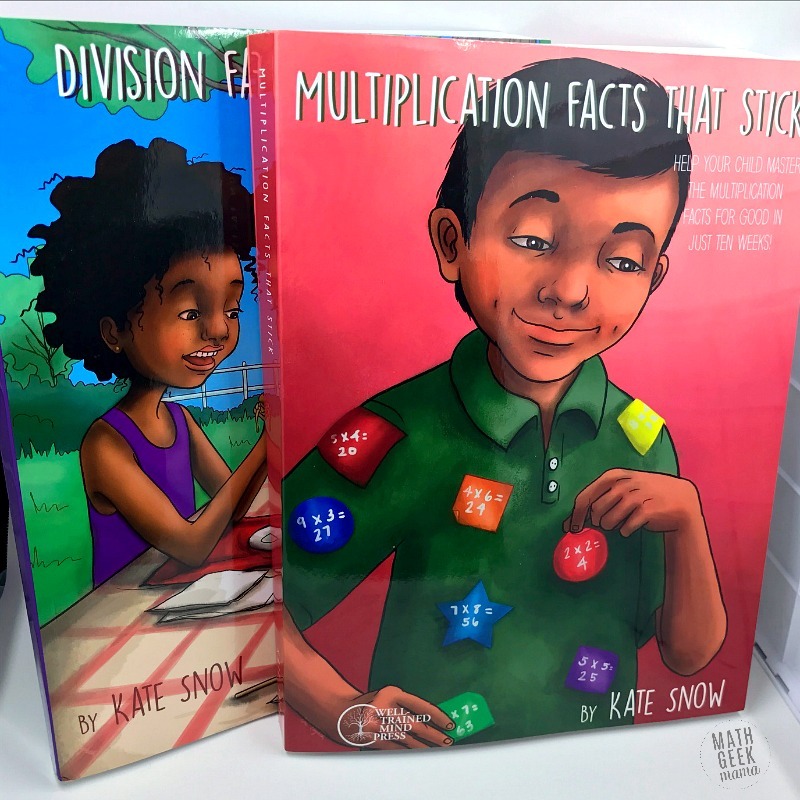 Want your own copy of these both of these books from Kate Snow plus my Introduction to Multiplication set? Right now we are hosting a giveaway of this set of resource books for one reader in the United States! That’s $60 worth of teaching materials! Use the form below to enter the giveaway. This is only open to people in the U.S. and the giveaway will end on July 25th, 2018. At that time one winner will be chosen at random. If you enjoyed this post, you will love being apart of the Math Geek Mama community! Each week I send an email with fun and engaging math ideas, free resources and special offers. Join 108,000+ readers as we help every child succeed and thrive in math! 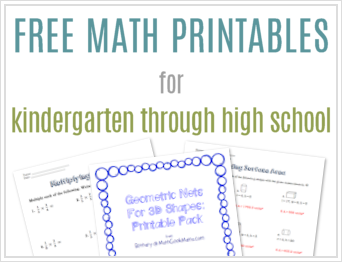 PLUS, receive my FREE ebook, 5 Math Games You Can Play TODAY, as my gift to you! Success! Now please check your email to confirm your subscription and receive a free gift! The variety of ways to teach multiplication is excellent for differentiated instruction!